Artists will often blur their eyes to better see their work. What? That makes no sense! Yep, blurring the eyes removes much of the details which is helpful for revealing the overall shape, balance, and structure of an artistic composition whether it’s digital art, a painting or a sculpture. 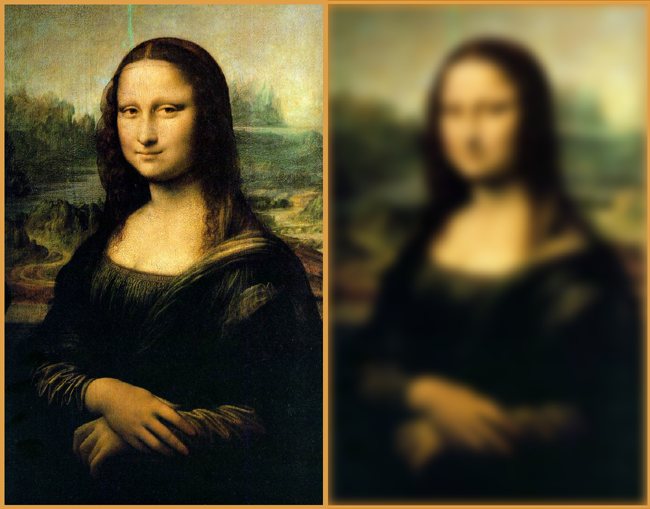 As you can see in the side-by-side images of DaVinci’s Mona Lisa, when she is blurred, the overall composition is easier to see. Where you might have focused on her peculiar smile, her odd lack of eyebrows or the mysterious background, once you blur your eyes, you have a clearer impression of the shape of her face and chest and the placement of her hands. If you were going to do a quick sketch of the Mona Lisa, this is the best method for distilling it down to it’s basic components. You can do the same thing when putting. When you are evaluating a putt, it’s easy to “miss the forest for the trees” — to be overwhelmed by so many details or to focus too much on one particular thing. Walk around the green and evaluate the putt from behind the ball, from behind the hole, and from below the hole – as you normally would. 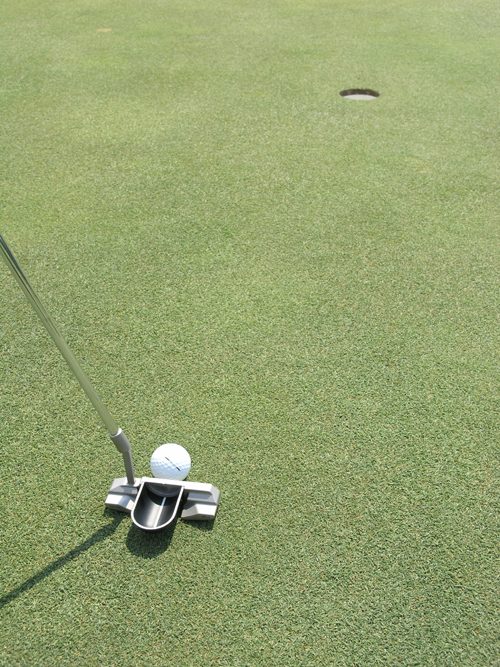 As you take a final look at the the putt from behind the ball, blur your eyes (closing one eye can be helpful). Follow the path you expect your ball to take at the pace that you expect it to take – all while blurring your eyes. Finally, as you stand over the ball, blur your eyes one last time and check your aim.